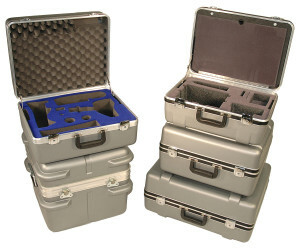 Protect your delicate and valuable equipment with a heavy duty yet relatively light-weight carrying case. These cases are vacuum formed from high density polyethylene. This solvent resistant plastic withstands repeated impacts at temperatures ranging at extreme high and low temperature ranges.